Dennis Smook was first elected as the MLA for La Verendrye in 2011. In addition to his role as MLA, he currently serves as the PC Opposition critic for Labour, Immigration, and the Workers Compensation Board. Prior to being elected MLA, Dennis served as a trustee for the Boundary School Division and has a long history of service to the community. He has volunteered in various capacities with the Lions Club, the Vita Curling Club, Ducks Unlimited, and as a minor baseball and hockey coach. He has also served as a volunteer fire fighter with the Vita Fire Department. Dennis and his wife Gwen have owned and operated a local business for close to forty years. As the South East Marketing Associate with Shell Canada and the Ste. Anne Co-op, Dennis gained knowledge of the constituency and experience working with its residents. Dennis is a strong supporter of the small business and agriculture sectors and believes they are key to a thriving local economy in La Verendrye. Dennis and Gwen make their home in Vita, Manitoba, where they have raised their four sons: Christopher, Justin, Tyson, and Brandyn. They chose to raise their boys in La Verendrye because it offers a safe, nurturing environment where families can thrive. 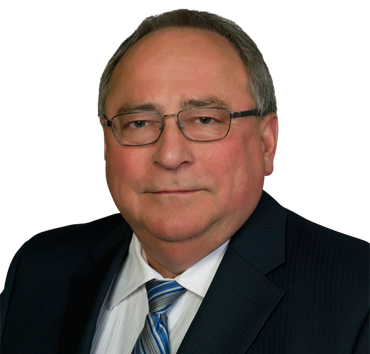 Dennis Smook was first elected as the MLA for La Verendrye in 2011 and was re-elected in 2016. Dennis and his wife Gwen have owned and operated a local business for close to forty years. As the South East Marketing Associate with Shell Canada and the Ste. Anne Co-op, Dennis gained knowledge of the constituency and experience working with its residents. Dennis is a strong supporter of the small business and agriculture sectors and believes they are key to a thriving local economy in La Verendrye. Dennis and Gwen make their home in Vita, Manitoba, where they have raised their four sons: Christopher, Justin, Tyson, and Brandyn. They chose to raise their boys in La Verendrye because it offers a safe, nurturing environment where families can thrive. Prior to being elected MLA, Dennis served as a trustee for the Boundary School Division and has a long history of service to the community. He has volunteered in various capacities with the Lions Club, the Vita Curling Club, Ducks Unlimited, and as a minor baseball and hockey coach. He has also served as a volunteer fire fighter with the Vita Fire Department. Dennis truly enjoys serving the constituents of La Verendrye and is proud to being part of a new government with a better plan for our province – a plan that will create new opportunities for Manitoba to thrive and build a better future for all. 205 Unit K Principale St.